(NEW YORK, NY) – Live show experts THE CHARIOT have released a music video made entirely by friend Zach Andrews. The piece was filmed late last year at The Chain Reaction in Southern California during a performance of their track “Forget.” Click HERE or the image above to view. 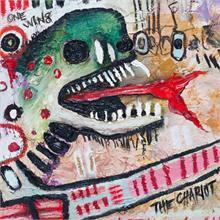 THE CHARIOT will continue touring the planet in support of their most recent release. After finishing up a successful run with EVERY TIME I DIE, the band will head out with AS I LAY DYING in March and then spend most of their summer on the VANS WARPED TOUR. For more tour date info, go here. The band released “One Wing,” over the summer to much critical acclaim. Debuting at #85 on the Billboard Top 200 chart, “One Wing” is now the band’s highest charting release to date. Good Morning, I just stopped in to go to your website and believed I would say I enjoyed myself…. Fantastic Early morning, I just stopped in to go to your web site and imagined I’d say I liked myself…. Outstanding post, I think website owners should acquire a lot from this website its rattling user friendly. So much great information on here :D…. Very good Early morning, I just stopped in to visit your site and considered I would say I appreciated myself…. I believe technological know-how just makes it even worse. Now there’s a channel to in no way care, now there is not going to be a possibility for them to discover…. Excellent facts can be found on this online blogging site…. I think know-how just can make it even worse. Now there is a channel to never care, now there would not be considered a prospect for them to find…. you saw this really good post…. Concerning me and my husband we’ve owned much more MP3 gamers through the years than I can count, including Sansas, iRivers, iPods (basic & touch), the Ibiza Rhapsody, etc. But, the last few several years I’ve settled down to one line of players…. Excellent info could be discovered on this online website…. Great Morning, I just stopped in to go to your web site and considered I would say I experienced myself…. I reckon something truly special in this web site…. Way cool! Some extremely valid points! I appreciate you penning this post and also the rest of the website is extremely good…. Hello, Neat post. There is an issue along with your website in internet explorer, would test this¡K IE nonetheless is the marketplace leader and a big section of other folks will omit your fantastic writing due to this problem…. Pop in. Have a Look, the proof is here as this is the new age, the LED age…. There’s finally a way to get the best of both worlds….